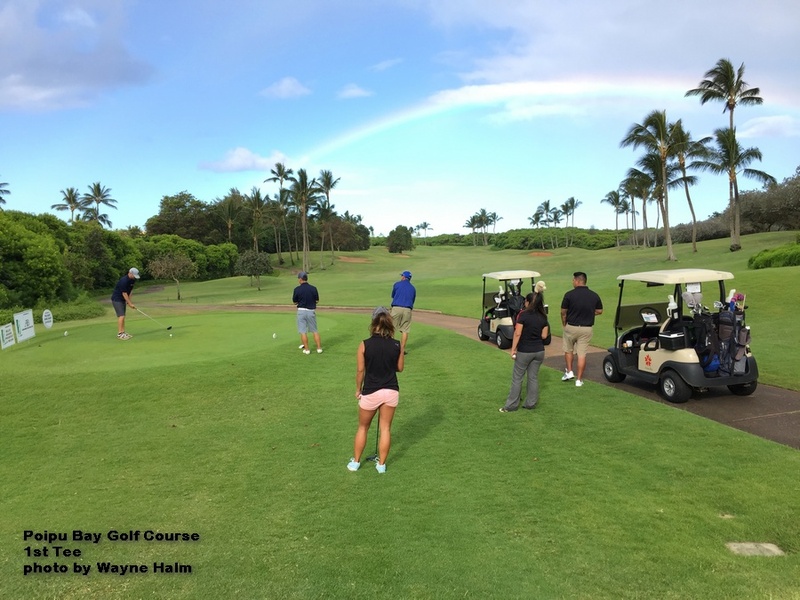 We teed off literally “Under a Rainbow”. When I looked down the fairway and saw it – I dropped my driver and backed up to take the picture … it was too perfect. 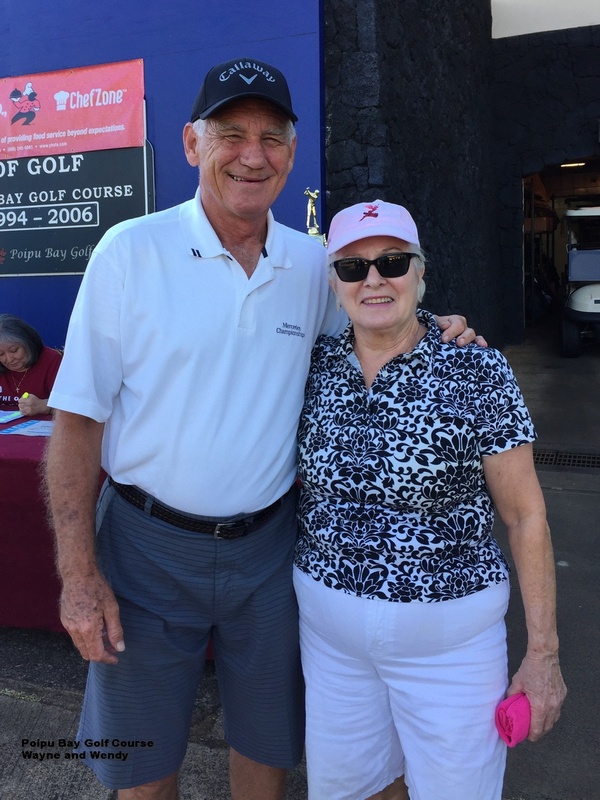 On May 21st 2017 I played in the Kauai Chamber of Commerce Golf Tournament at the Poipu Bay Golf Course on Kauai. 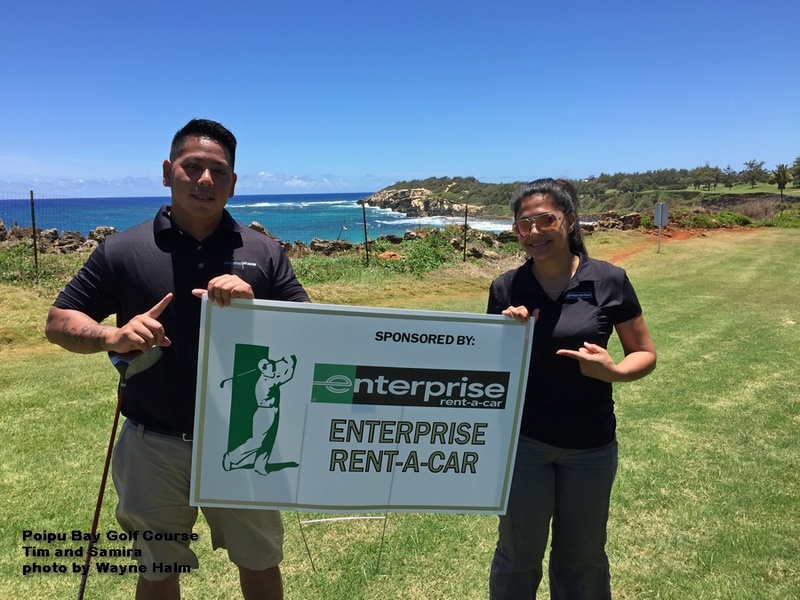 Thank you to Enterprise Rent-A-Car for inviting me. 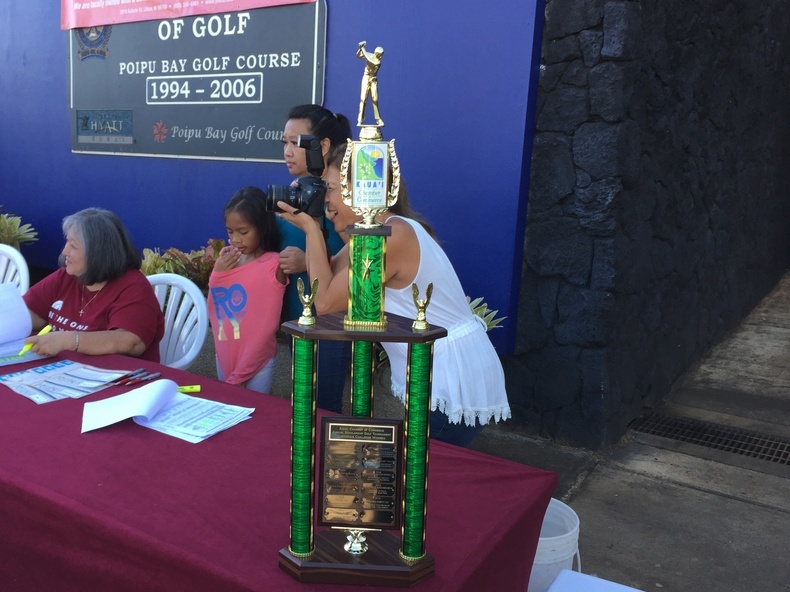 This annual tournament is popular and has a large turnout. 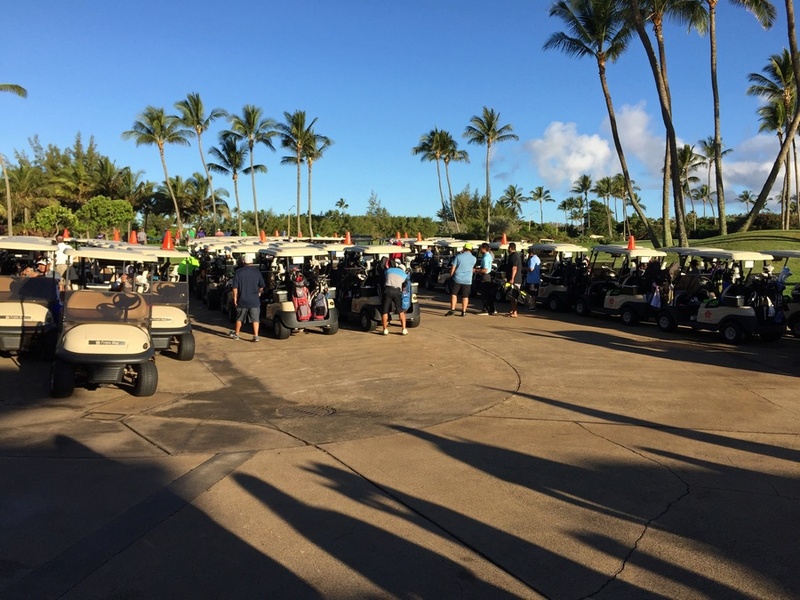 A full load … eight players on every tee for the shotgun start. Mayor Carvalho was there. Yeah, I had my picture taken with him … on Kauai you “hobnob” whenever you can. Wendy Akita was there too … so I “hobnobbed” some more. There was a large trophy on the line – and you bet our team wanted to take it home. 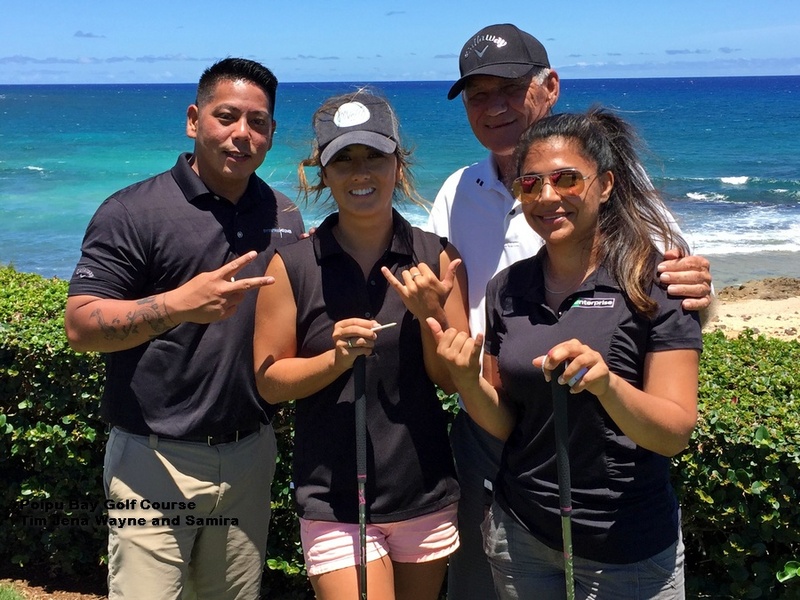 The Enterprise Team … Tim Takeshita, Jena Ogawa, Wayne Halm, and Samira Siale. 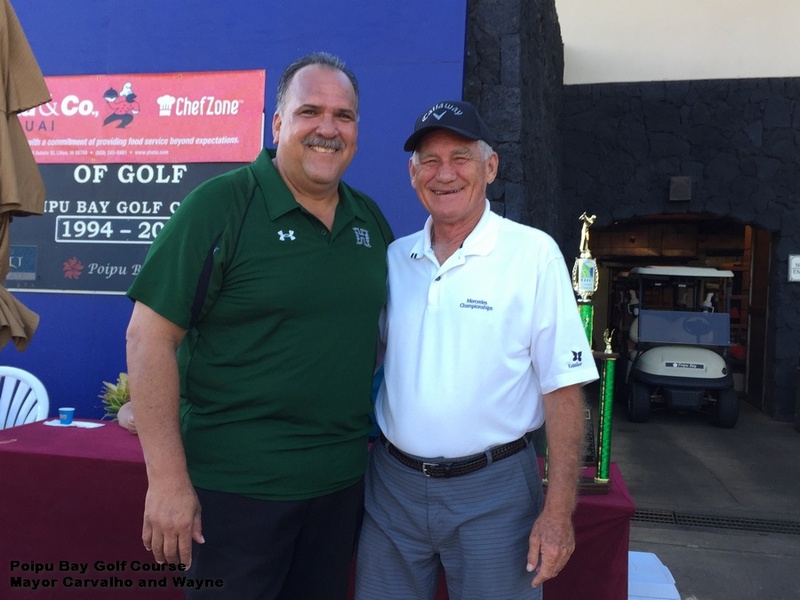 The tournament format was a four person Scramble … but with an interesting twist. On each hole after the tee shot the person who’s ball is used was not allowed to participate in the next shot. I had not done this before, but after I caught on I liked it. This was FUN. 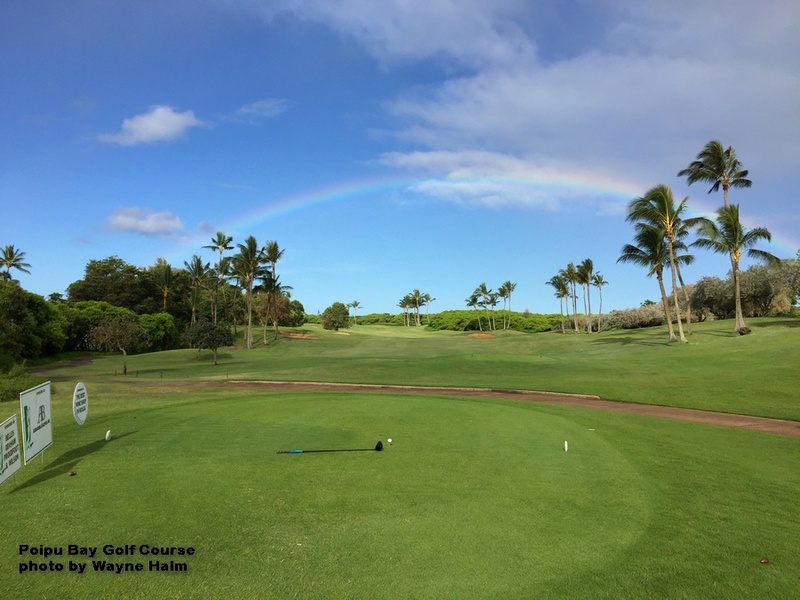 The beautiful Poipu Bay Golf Course is a great tournament venue. The pace of play was good. The company was fantastic, we laughed a lot … and we were contenders. 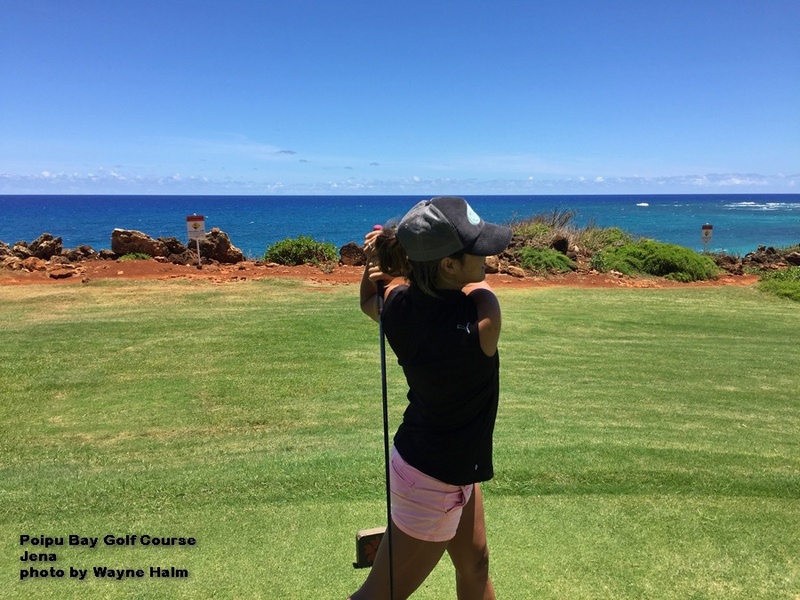 The Poipu Bay Course offers opportunities to “just hit it”. And the greens were simply perfect. Then it happened. On the back nine the old guy (that would be me) began to fade. Fortunately these ladies stepped up and shouldered the load. 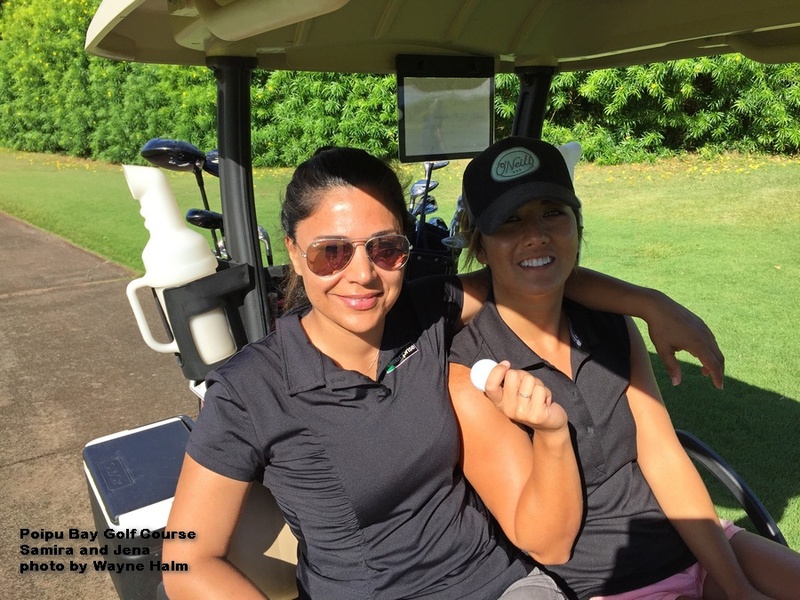 And shouldered it with style … Jena..
We chased it down the fairways … we chased it across the greens … but Team Enterprise just couldn’t catch the “Pot-of-Gold” at the end of the Rainbow. But no matter … there is always next year. And we got enough laughs, jokes, and stories out of this round to last till then. This was the way golf should be. Come play golf with me. Thank you buddy, it was fun. But it is good to have backup … really cute backup is even better. That is an interesting twist on a scramble – sounds like fun! 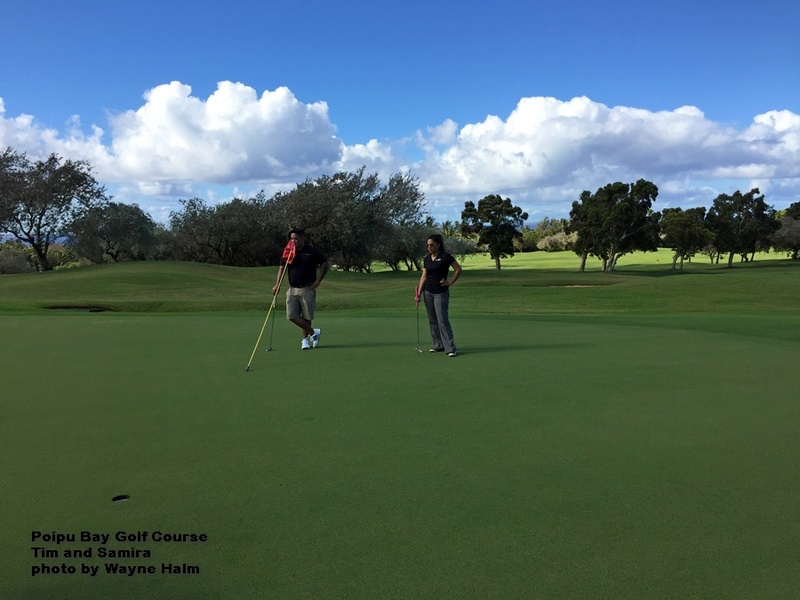 I suspect if you were allowed to play every shot your team would have had a better chance at that trophy…but the weather looked fantastic and the company even better, so I’m sure you were able to cope. Yes, it was interesting … and after I caught on the the strategies, it was FUN. Our team had a fantastic time … and looked good doing it. Just wait until next year!